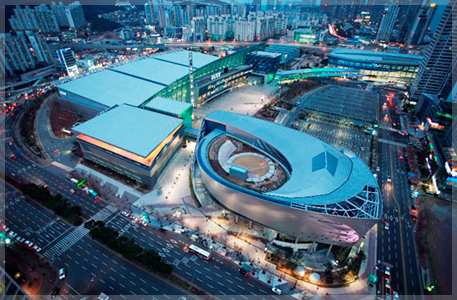 Busan Exhibition and Convention Center, commonly known as BEXCO (Busan Exhibition and Convention center) is a convention and exhibition center located in Centum City, Haeundae-gu, Busan, Korea. It features over 46,500㎡ of exhibition space and 53 meeting rooms. 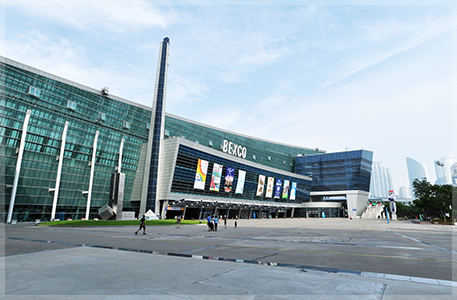 In June 2012, BEXCO completed its expansion to add a 4,002-seat auditorium and a new exhibition center.